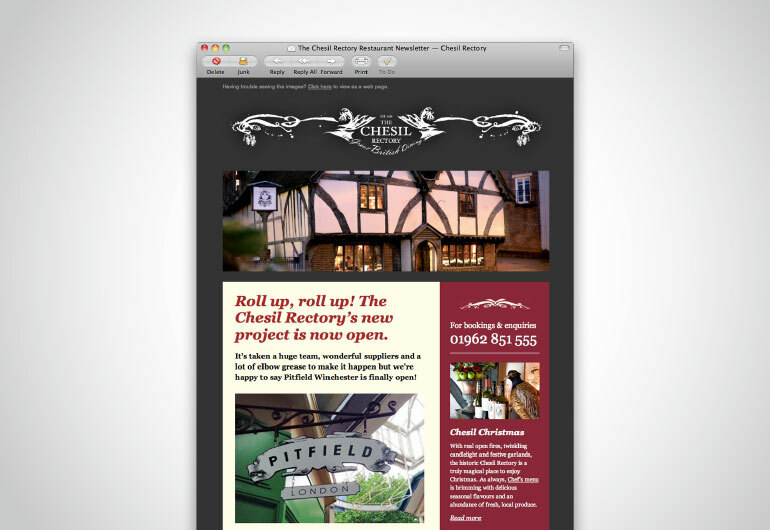 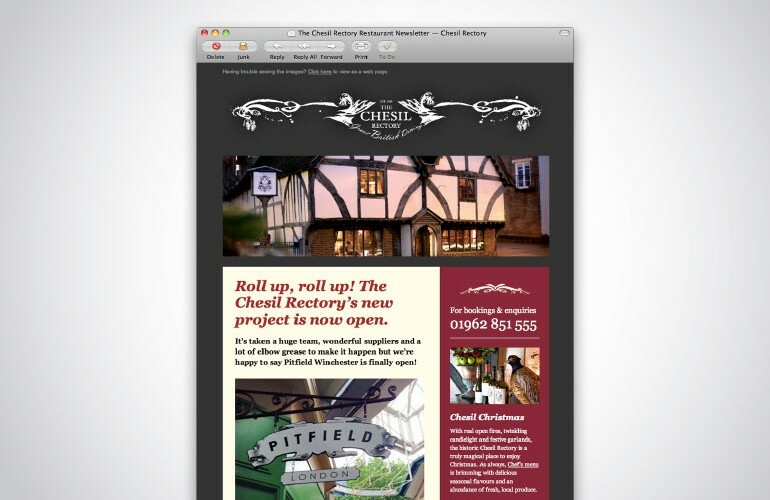 One of the most historic restaurants in Hampshire, The Chesil Rectory came to Wildcat for a new website. 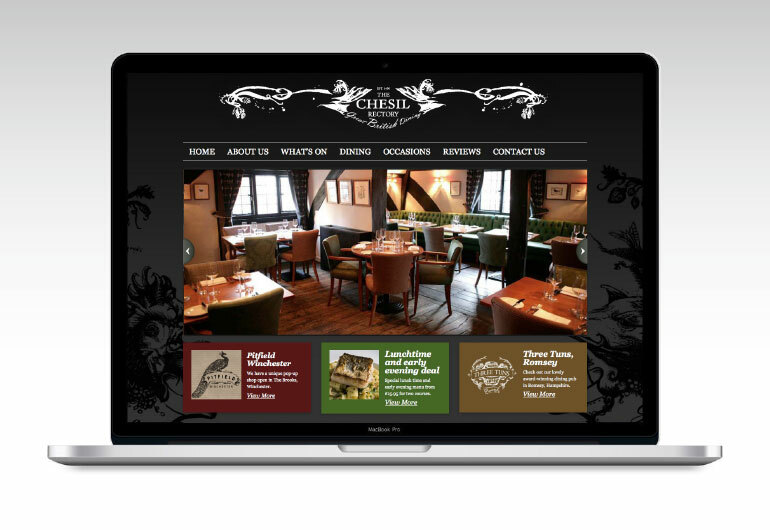 Our design retained the restaurant’s ‘modern classic’ ethos, with a clean black and white colour scheme, with heritage accents throughout. 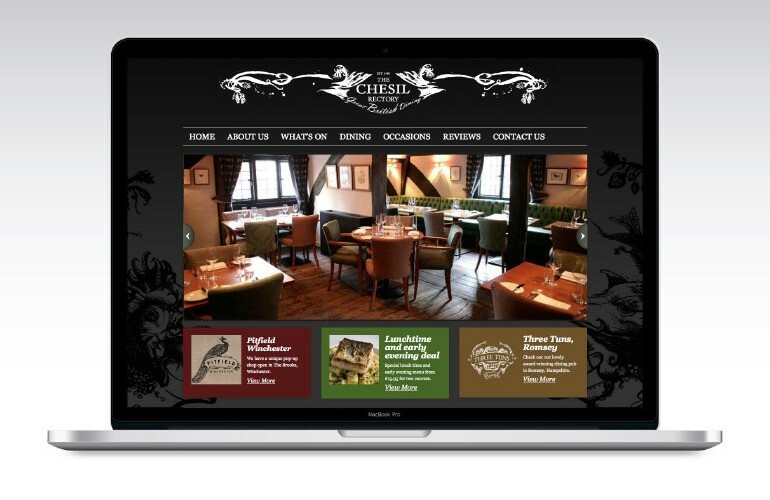 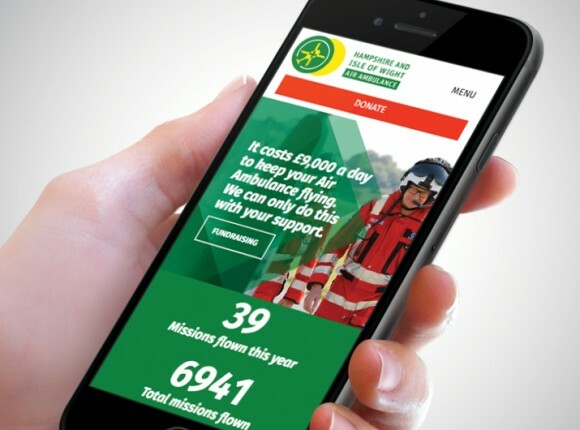 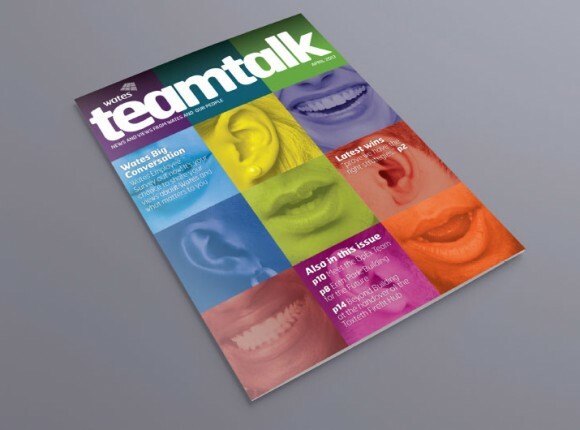 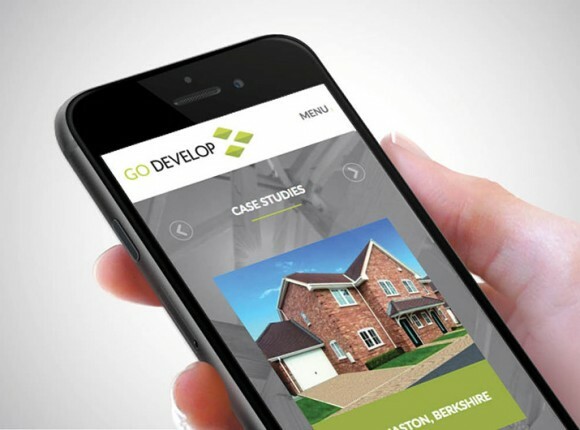 An email newsletter template following the style of the website was also developed, and regularly achieved over 15% of clicks though to the site’s new seasonal menus, as well as stimulating direct bookings.